Willard Lee Padgett, age 80, of Broughtontown, Kentucky, passed away Friday, November 16, 2018 at UK Medical Center in Lexington, Kentucky. Born Monday, May 23, 1938 in Waynesburg, Kentucky, he was the son of the late Harvey “Harve” & Bessie Yantz Padgett. His loving wife, whom he married September 17, 1958, is Izetta Hoskins Padgett of Broughtontown. Willard was self-employed truck driver and worked for many different businesses over the years. 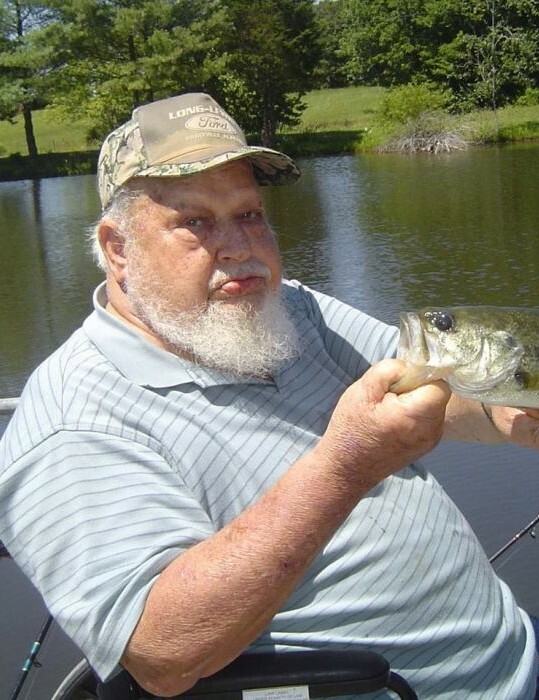 He was of the Baptist faith, loved to fish, previously played golf, and enjoyed watching sports and John Wayne movies. In addition to his wife, Willard leaves behind two sons, Willard Leroy Padgett and David Lee Padgett both of Broughtontown; four brothers, Richard Padgett (Martha) of Waynesburg, Ernest Padgett (Violet) of Clanton, Alabama, Alvin Padgett of Lancaster, Kentucky, and Bill Padgett of Ohio; four sisters, Ethel Jones of Somerset, Kentucky, Barbara Eldridge of Dry Ridge, Kentucky, Martha Black of Waynesburg, and Ina Padgett of Somerset; and several nieces, nephews, and other extended family members and friends who mourn his passing. In addition to his parents, Willard was preceded in death by five brothers, Orville, Otis, Vernon, Calvin, and Jim Padgett; and five sisters, Zella Harris, Stella Brown, Violet Powell, Mae Coleman, and Mary Padgett. A Funeral Service will be held 1:00PM Wednesday, November 21, 2018 at Barnett, Demrow & Friend Funeral Home with Bro. Vola Brown officiating the service. Burial will follow in Olive Cemetery. Memorial Contributions suggested to Willard Lee Padgett Memorial Fund c/o Barnett, Demrow & Friend Funeral Home, PO Box 67, Waynesburg, KY 40489. Barnett, Demrow & Friend Funeral Home, Waynesburg, is entrusted with Willard’s arrangements. Guest Book at www.friendfuneralhomes.com.